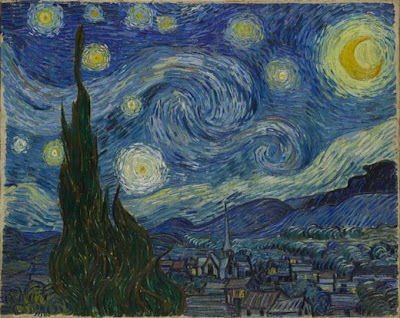 Joanne Mattera Art Blog: Starry Night, Crowded Galleries . . .
Starry Night, Crowded Galleries . . .
. . . Didn't Stay. I'll give it a month. Maybe by then the crowds will have thinned to, oh, six deep around the pictures.